If you’ve got £250,000 left over from your Christmas bonus this year then this gold plated bike could be just the thing to invest in. 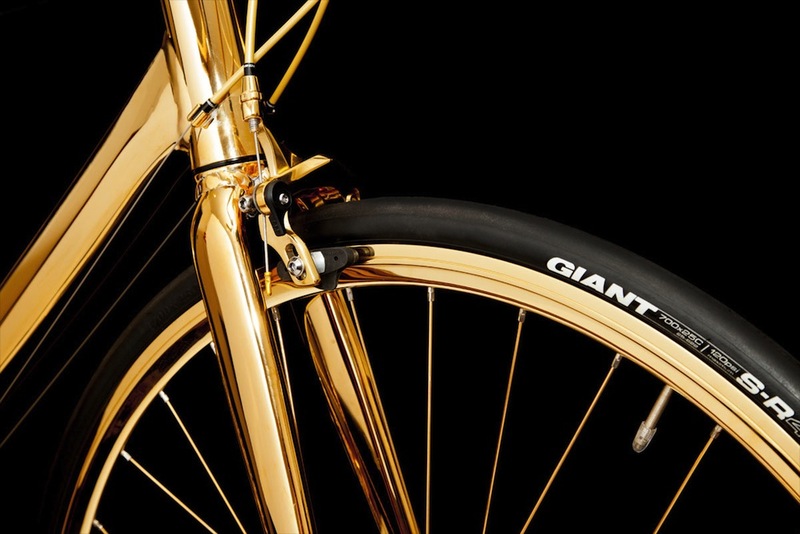 Embellishing a road bike in 24 carat seems the ultimate in extravagance, but not for London-based company Goldgenie, who appear to be willing to coat literally anything in gold. 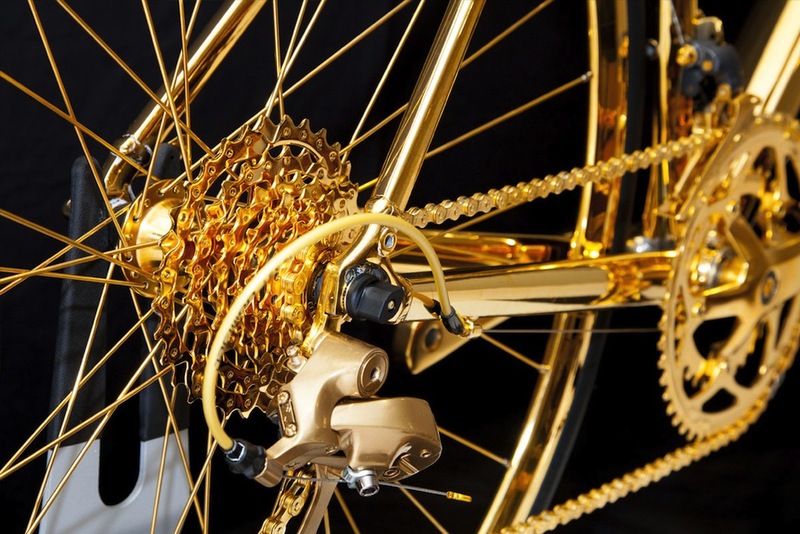 “Striking to look at, the bike is even more beautiful when in fluid motion, as the spinning spokes catch the sunlight and ripples along the golden frame,” Goldgenie say on their website. It’s probably not the kind of bike you would want to take out on your local club ride, but possibly one you would reserve for pootles around Mayfair.